Sandalwood - 931 Sq. Ft.
Cypress - 1057 Sq. Ft.
Royal Palm - 1057 Sq. Ft.
Nutmeg - 1087 Sq. Ft.
Cambridge - 1169 Sq. Ft.
Ocala - 1356 Sq. 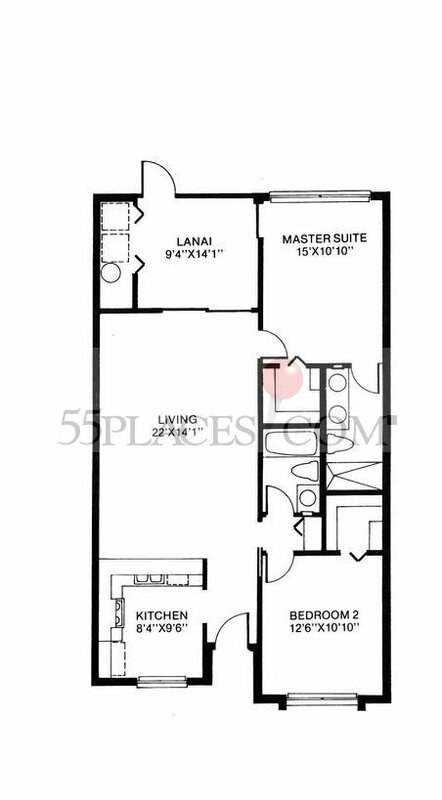 Ft.
Sandpiper - 1579 Sq. Ft.
Beechwood - 1833 Sq. Ft.